Guidance Q1E gives several options for calculating shelf life. These options are compared using examples. 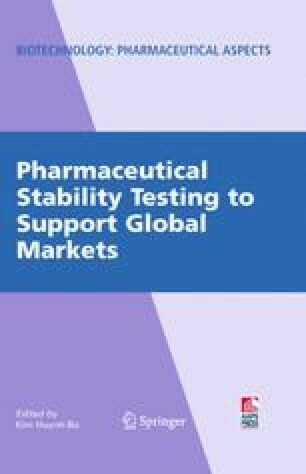 Bracketing and matrixing (Guidance Q1D) are the ways to reduce the amount of testing in a stability study. Examples of matrixed and bracketed designs are presented, and the probabilities of obtaining a given shelf life for the reduced designs are compared to the same probabilities for the full design.